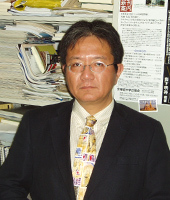 The program leader, Akihiro Iwashita, is a leading researcher on border studies in Eurasia (Eurasian border studies). His studies on the Sino-Russian borderland and on the Japan-Russian "Northern Territories" issue are appreciated by both foreign and local experts. In 2006, he was awarded the prestigious Osaragi Jiro Prize for Commentary by the Asahi Shimbun for his well researched and timely book Hoppo ryodo - 4 demo 0 demo 2 demo naku (Japanese Northern Territorial Issues: Neither Four nor Zero, nor Two, Tokyo:Chuokoron-shinsha, 2005). The Osaragi Jiro Prize was established in 2001 and is awarded to books that have contributed greatly to the field of social sciences.His book was highly acclaimed by the selection committee for its probing analysis of one of the most difficult and sensitive issues in Japan's diplomacy. The book has sold over 20,000 copies as of May 2009. His research on the Sino-Russian border solution was also deeply praised and was awarded the 2007 JSPS (The Japan Society for the Promotion of Science) Prize. The book has been published in English and Russian, while excerpts have also been published in Chinese. He belongs to leading academic organizations on border studies such as ABS, BRIT and others. 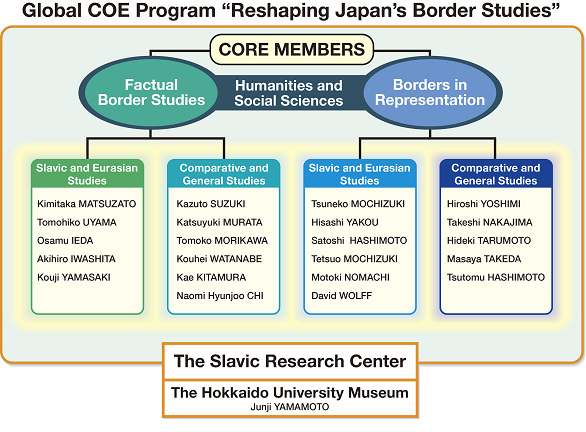 Copyright(c) Hokkaido University Global COE Program"Reshaping Japan's Border Studies" All right reserved.